Launched in July of 2016, Os & Oakes is the creation of duo Erika Oakes and her brother Michael Lipari. 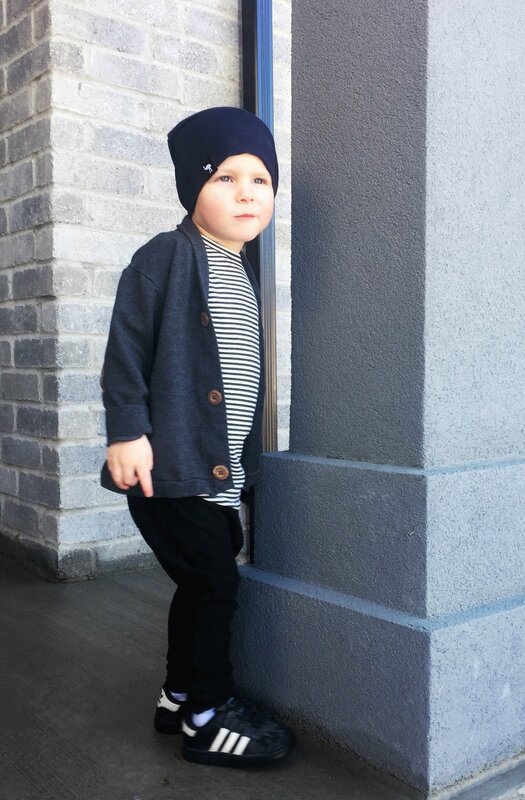 As a mom of two toddler boys, Erika felt inspired to produce a line of clothing that her kids could play in comfortably, while looking fashionable and on-trend. Michael also felt compelled to design a sleek contemporary brand, that would portray an adult style for toddlers. Partnering up, they decided to put their visions into action and started their company. All of Os & Oakes' clothing is manufactured in Toronto, Ontario and made of an incredibly soft, bamboo-blend, sustainable fabric that is durable and ethically made. Their adorable toddler backpacks and additional accessories are handmade in London, Ontario. When you purchase your items from Os & Oakes. you can trust that it was made right here in Canada from fabrics that are eco-friendly and sustainably sourced. Where did the name "OS & OAKES." come from? "Oakes" represents Erika's two little boys who inspired the brand and "OS" stands for Ostrich, their symbol and logo. Why an Ostrich you ask? They chose an Ostrich because in a market dominated by teddy bears and elephants an Ostrich symbolizes something unique and at times resemble toddlers; they are fast, quirky, and much stronger then they appear, which is why they print the phrase "catch me if you can" on the back of their trendy toddler pocket tee. Want to get your hands on some of their cute clothing? You can head to their website www.osandoakes.com (a local London pickup option is available) or you can swing by Oh Baby Boutique at the western fair farmers market on Saturdays. They are also being featured in the Spring Marketplace of the One of a Kind Show taking place in Toronto March 29th-April 2nd!